Evelyn surprised me with a gift! 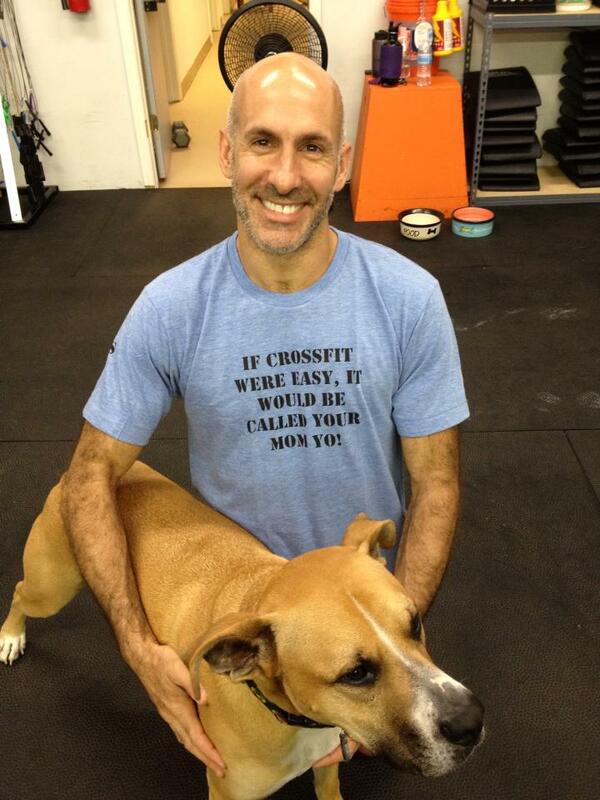 The front of the tee shirt: If CrossFit were easy it would be called your mother, yo. Yup, I’ve said that. 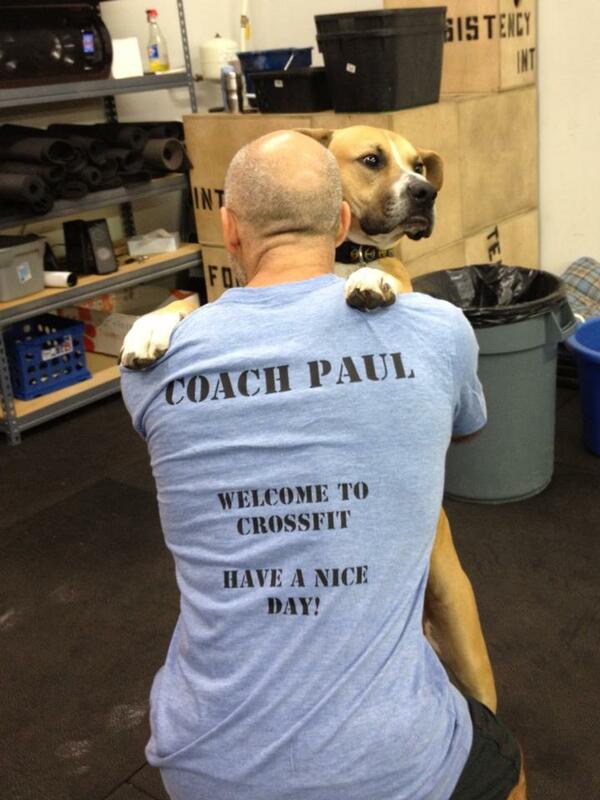 The back: Welcome to CrossFit. Have a nice day! I often say this at the end of a workout, you know, when folks are lying on the floor panting, drooling, and swearing. I worked out at 10:30. 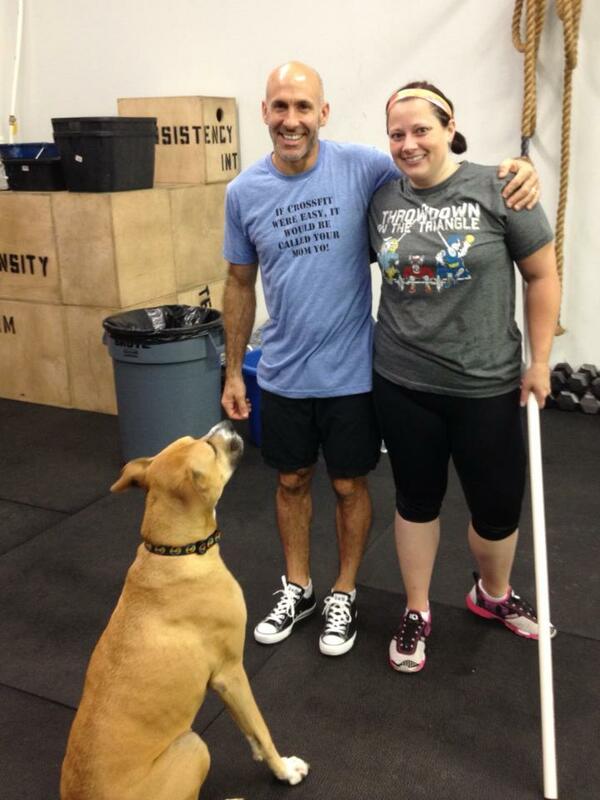 In celebration of Friday the 13th I programmed a “fun” WOD. 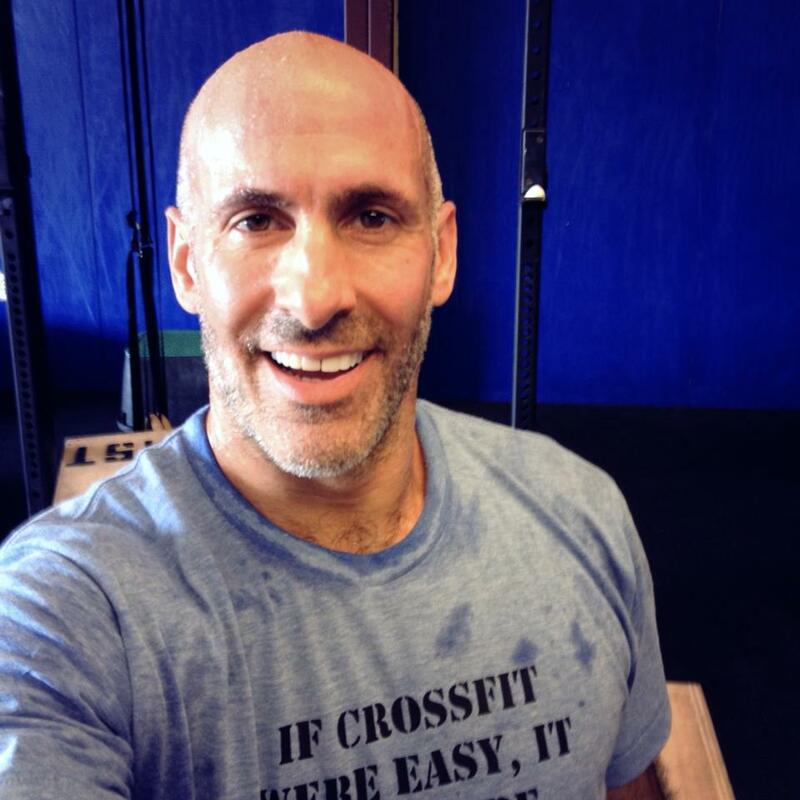 My goal was to complete as many activities unbroken as possible, knowing that I wouldn’t be able to do so for dead hang pull-ups. I did for all except pull-ups and hang cleans. Uhm, if it’s a hang clean it’s a full squat clean. Pay attention, please. Thrusters went remarkably well this morning, and 13 unbroken presented no challenge. And no time did I even contemplate dropping the bar. Thirteen unbroken bent over rows were completed very quickly, as were 13 unbroken straight legged dead-lifts. Fourteen, actually, as I bent my knees on the 4th rep and redid. I wasn’t looking to SDHPs for no other reason than I had just completed 49 81 Wednesday. Unbroken nonetheless. I love front squats. For that matter, I love back squats and overhead squats. Thirteen unbroken. I was, however, getting winded. I completed hang cleans in reps of 5, 5, & 3. Dead hang pull-ups were miserable. I completed in sets of 3, 2, 2, 2, 1, 1, 1, & 1. Full range of motion, I assure you. One-armed alternating KB swings were also completed unbroken. As I feared that I would not get the 52# KB to eye level, I over compensated. Upon reviewing the recording I can report that KB swings were completed between Russian and American. Mexican? Brazilian? I wasn’t looking to box jumps for no other reason than I had just completed 49 81 Wednesday. Unbroken nonetheless. Slam balls? I love slamming balls. Slam ball jumping air squats? I don’t mind if I do. Slam ball pushups? I love tricep pushups. Slam ball burpees? I usually wholeheartedly love but today only half-heartedly loved. I really wanted to stop during set of 13, but would not allow myself to do so. I called time to no one at 10:24. The first photo of you and Luke is such a nice one. You should frame it.